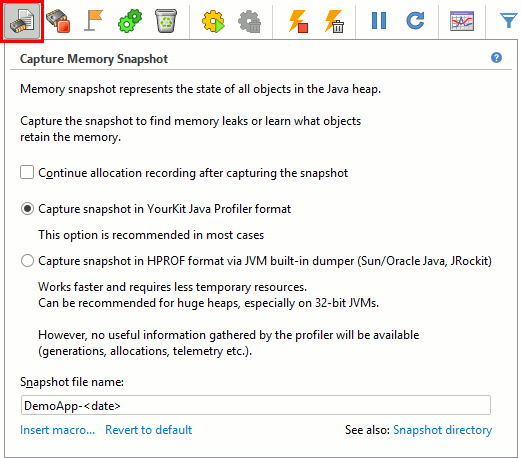 A memory snapshot represents the memory state of the profiled application at the moment it was captured. It contains information about all loaded classes, about all existing objects, and about references between objects. Snapshots can contain values of fields and arrays of primitive types (int, long, char etc.). Read more. Optionally, snapshot can contain information about object allocations. Read more about HPROF snapshots.